New for 2013, Sturm, Ruger & Company builds upon its popular LCP line of semi-automatic pistols with the release of its new LC380. The published specifications are as follows. Right off, I'm happy to tell you that as a generality, little blow-back .380s have historically been one of my least favorite genres of pistols. Many examples over the years have had lousy sights, horrid triggers, and can be nasty little palm-slappers. A pistol no fun to shoot is also no fun to practice with; fighting uncomfortable, dinky palm-stabbers and grit-filled triggers is not my idea of a good time. For a pistol to be of any value to me, it has to be reliable. One pistol that I thought looked streamlined and smooth was the Mauser HSC. I went through three of them, all spectacularly unreliable jam-o-matics. The only .380 that I found to be reliable, useful, accurate, and pleasant in my terms is the Makarov .380. 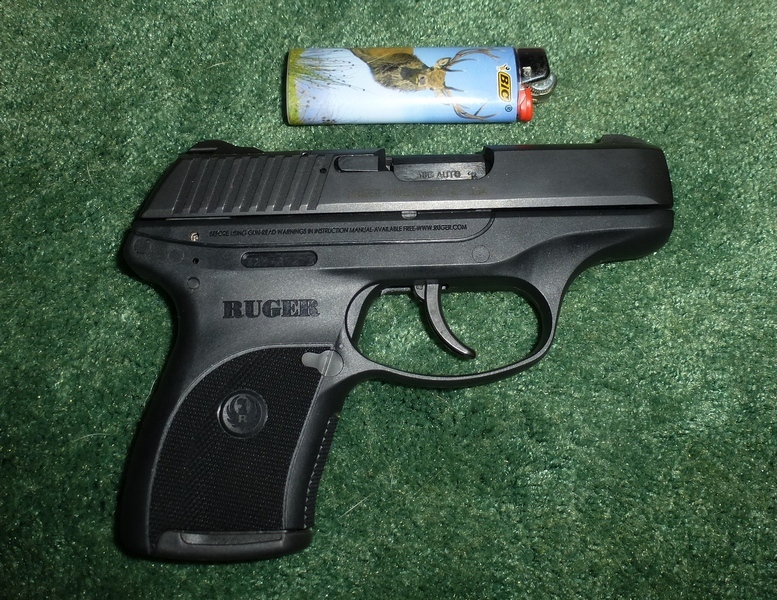 Why the Ruger LC380? The LC380 is essentially the same platform as the LC9, offering enough size to hold steady but with the promise of lower recoil. Your personal accuracy requirements may vary, but I note that some Concealed Carry courses require live fire at three, five, and seven yards. That is hardly what I consider a formidable test, so even though this is not designed as anything but an intimate self-defense arm, I've settled on 10 yard shooting to give some representation of accuracy. The pistol itself is very well made, no malfunctions were experienced, is easy to use, and succeeds in its quest to be soft-shooting. You could shoot this pistol for a very long time without feeling like you have been shooting afterwards. The white, three dot sight array is very easy to pick-up and the entire pistol has a smooth, snag-free exterior. The hammer is well shrouded and will snap on nothing when retrieving this pistol. It is a conventional DOA, or double action only handgun, meaning of course you have what might seem like an excessively long trigger pull. It is a long trigger pull, to be sure, but what makes it workable is that there is no sand, grit, or false stops during the actual trigger pull. It really is a cream-puff to shoot, you have a lighter slide spring as you'd guess for the .380 ACP, and it is easy to hit with. Here's the very first seven shots fired, out of the box, at ten yards, with Winchester Silvertips. It was cold and windy with ample wind noise, so this video is kept mercifully brief at about a minute. The second ring on the Shoot NC target is seven inches in diameter: as you can see, throwing bullets into it at ten yards takes very little effort. There isn't much to find fault in a product that performs exactly as promised and it offered at an attractive price. That is exactly the case with the Ruger LC380: it does everything it is supposed to do and everything it is advertised to do. As a result, there is little question that this soft-shooting pocket gun is going to be a huge success for Ruger, if it isn't already.